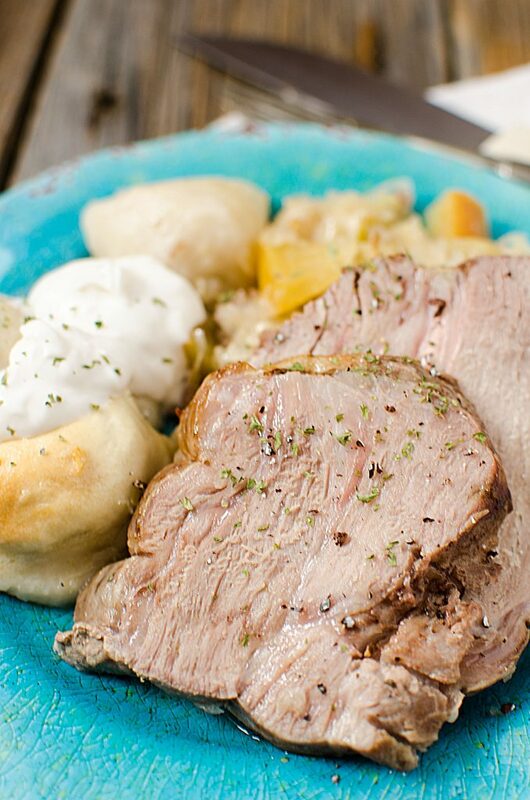 Slow Cooker Crock Pot German Pork Roast & Sauerkraut is one of my favorite dishes. It makes cooking dinners for the family a snap using this easy to follow recipe. 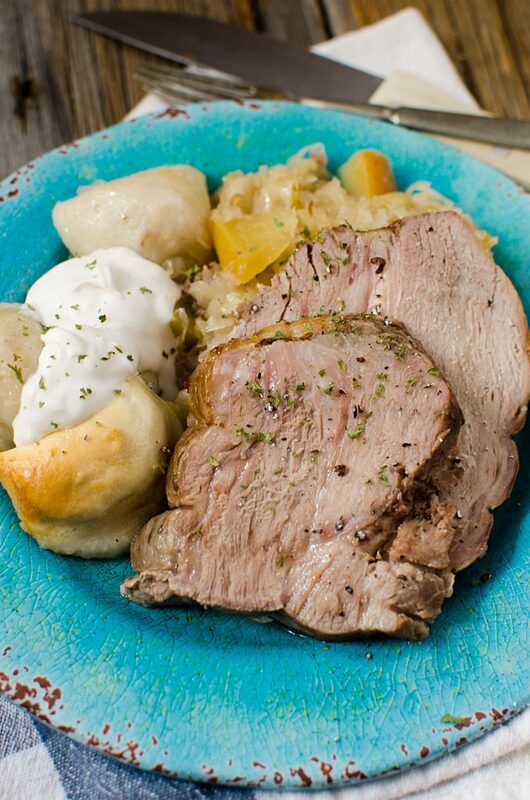 This recipe reminds me of being back in Germany! It was one of my favorite all-time trips between the great food, castles, driving on the autobahn, I even brought home a beautiful cuckoo clock. The food was so good everywhere we went that I think I gained 10 pounds on this trip! . I can’t say that there was only one dish that I loved because everything tasted great. 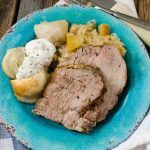 The pierogies in this recipe makes a fun twist to this recipe and goes well with the pork and sauerkraut. Week 2 real life travel and adventure in Germany! Now I am hungry and ready to go book a return trip to Germany! 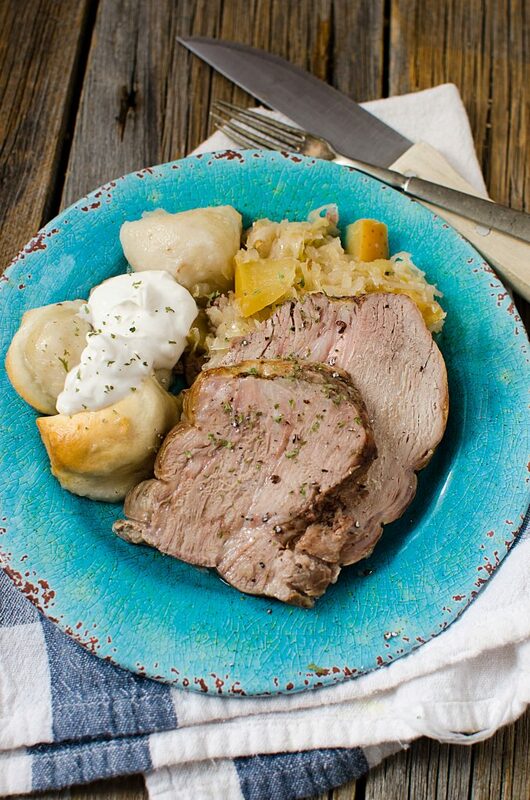 Let’s go ahead and get this German Roast Port & Sauerkraut recipe! Make sure and pin this recipe to make it easier to find when you want to make the recipe again. Sprinkle roast with salt and pepper. Heat shortening in a skillet over medium-high heat. 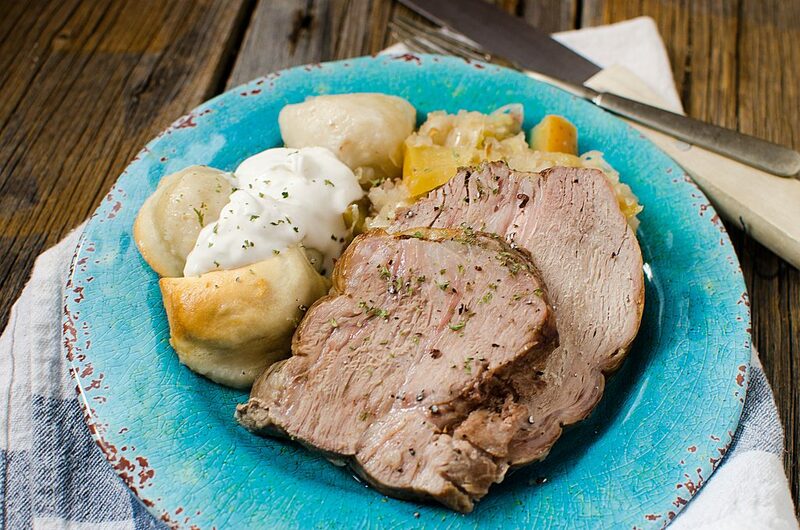 Brown roast on all sides; place in a slow cooker. Add undrained sauerkraut, apples and juice or water; blend. Gently add pierogies so they are partly submerged in the sauerkraut (as the roast cooks, more liquid will cover the pierogies). Cover and cook on low setting for 8 to 9 hours. Serves 4 to 6.